There is no “one size fits all” aspect to autism, therefore those who have the condition may have different stimulatory triggers and resulting responses. Autism is described as a “lifelong condition” because there’s no cure for it and those who have it are affected from birth. For all its apparent challenges, it’s important to remember many people with autism see it as a positive and crucial part of their personal identity. People who have autism see, hear and feel their external environment in a way which is different to those without the condition. Autism often overloads the body’s senses, so stimulants such as the sound of a dog barking or even a particular pattern on a carpet can become intolerable. Understanding human social interaction is another challenge for someone with autism. Basic social cues and body language can be difficult to interpret, making communication with others confusing. It’s common for someone with autism to have a very literal interpretation of language, making sarcasm and jokes harder to understand. How many people have autism in the UK? In the UK, there are around 700,000 people living with autism. This equates to more than 1 in 100 of the population. 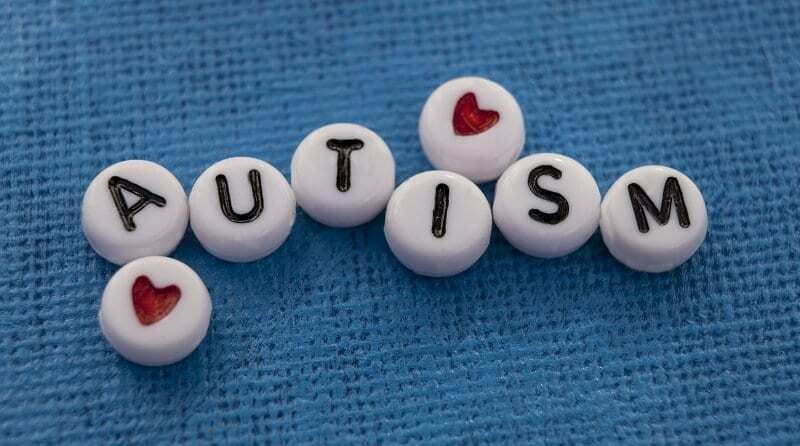 Autism occurs in all racial and ethnic groups but seems to affect more men than women. It’s difficult to define an exact ratio of how many men compared to women that the condition affects. However, The National Autistic Society website states that, in 2015, the ratio of men to women supported by the charity’s adult services was approximately 3:1. The research carried out so far suggests that autism is caused by a number of genetic and environmental factors but the exact cause is still unknown. What’s clear is that the condition is not caused by the person’s upbringing. If a child is of pre-school age, parents can ask their health visitor or GP to carry out a ‘screening interview’ called M-CHAT (Modified Checklist for Autism in Toddlers). This will not give a definitive diagnosis, but it’s a way of indicating whether the child may be autistic. Following the screening interview, if the health visitor or GP then thinks the child may be autistic, they can be referred for a formal diagnosis by a team of professionals. What strategies are there to help children with autism? Children with autism tend to thrive more when there’s a predictable structure or routine in place for them to follow. As far as possible, it can be helpful to schedule mealtimes, play times and bed at the same time each day. If there’s unavoidable disruption to a schedule, then let the child know in advance if possible. Visual supports can be used to improve communication with people on the autism spectrum. They provide structure, routine and their interpretation is more concrete than spoken language. You can use laminated cards with symbols for daily tasks like lunchtime, playtime, going home etc and these can be used on a ‘now and next’ basis. Within the child’s environment, it can be helpful to carry out an audit. Ask yourself: are there auditory or visual stimulants which are likely to make communication challenging and behaviour difficult to manage? Whilst it may not be possible to control every aspect of the child’s environment, it can be useful to reduce/remove any stimulants which are likely to trigger a difficulty in concentrating or increased anxiety. As spoken language can be easily misinterpreted, it can be helpful to use simple, clear instructions. As far as possible, don’t use long rambling sentences and lots of unnecessary words. Say the child’s name and then the thing you’re asking them to do. For example, rather than saying ‘Come on Ben, let’s sit on the carpet’, say ‘Ben, sit down’. Children with autism can have a processing delay of several minutes. So, if you find that a child isn’t doing what’s been asked of them straight away, it may be that they’re still taking time to process what you’ve said. Be patient. You may be pleasantly surprised when you find the child did understand you, they just needed time to process the instruction. It’s important to remember that children and adults with autism, no matter where they are on the spectrum, are not defined by their diagnosis. They are people with strengths and weaknesses like any other.